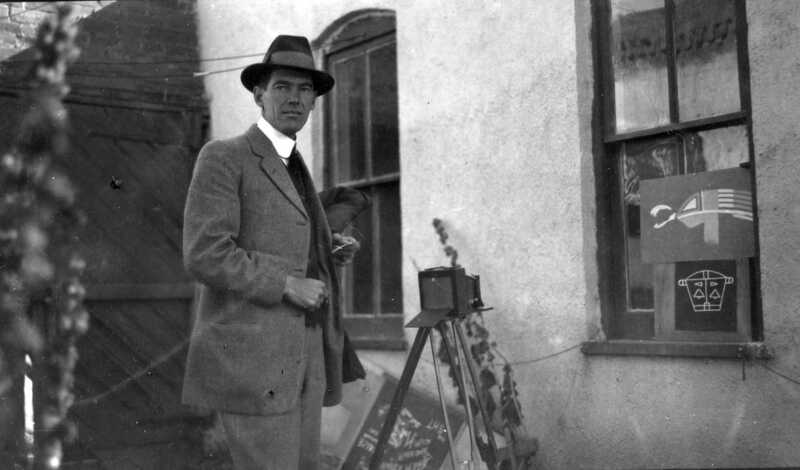 Kenneth Chapman photographing designs on the Palace of the Governors patio, Santa Fe, ca. 1925, SAR Archives AC02_820c. 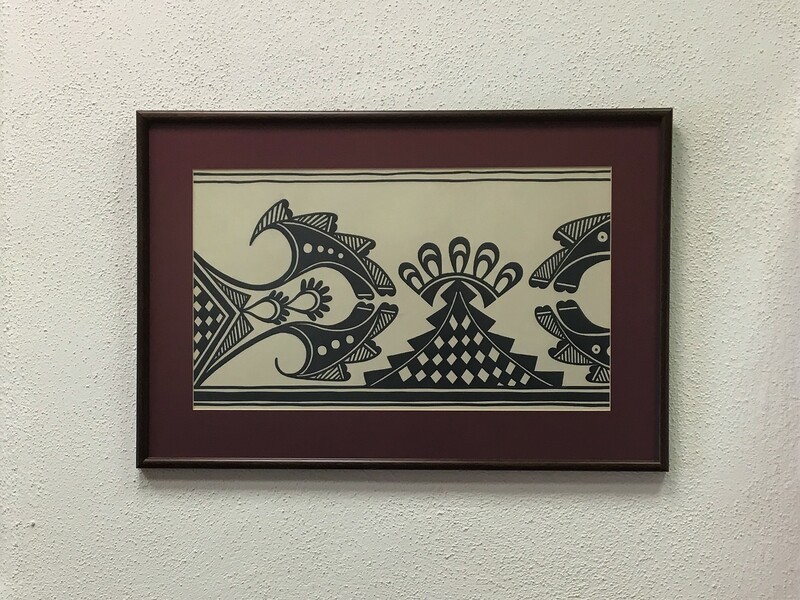 One of Kenneth Chapman’s Pueblo pottery drawings in the Catherine McElvain Library at SAR. In 1964 SAR acquired the pottery and other artworks of the Indian Arts Fund—which was begun by Chapman and others in Santa Fe in 1925 and is now stewarded by SAR’s Indian Arts Research Center (IARC)—as well as Chapman’s drawings and notes. 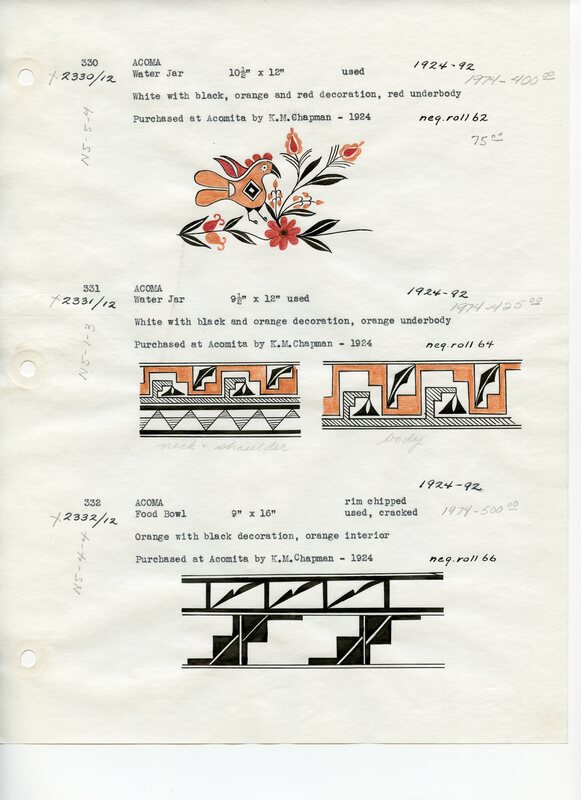 “These drawings,” says SAR’s Annual Report of 1964, “include designs of pueblo [sic], Navaho, Apache, and other Southwestern tribes. . . . They represent an important contribution to the study of Southwestern and related Indian art.” The sheer volume of these drawings is impressive: in addition to the boxes and notebooks conserved in the library, a wall of cabinets full of drawings is located in the IARC. 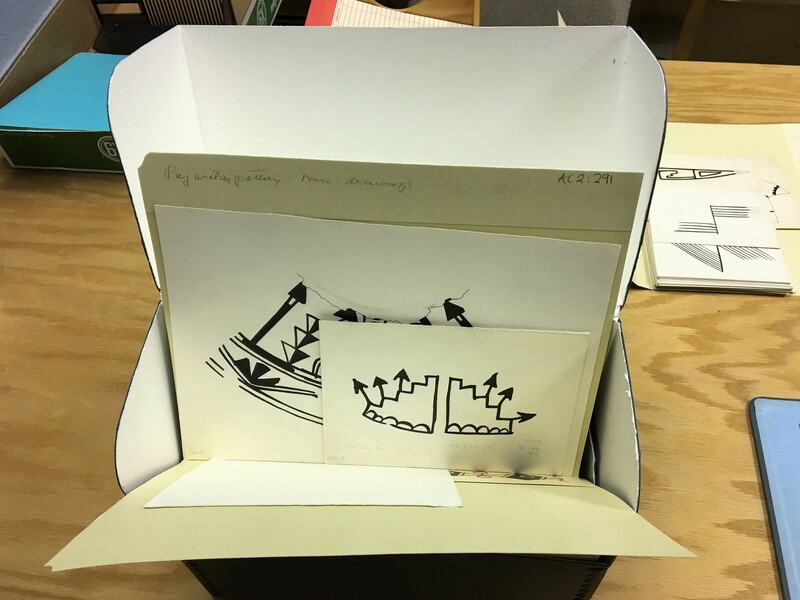 A box of Kenneth Chapman’s drawings in the Catherine McElvain Library at SAR. “Some people just find something that lights them up,” Laura told me as she pulled out a treasure: a notebook full of Chapman’s sketches. 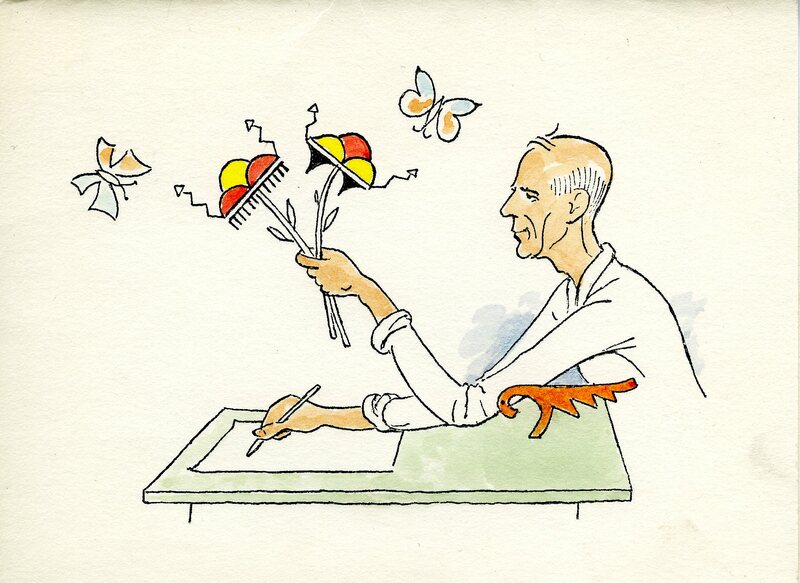 She said drawing was a form of collecting for Chapman, but he collected designs rather than the pots they were on. He even took his drawings to renowned San Ildefonso potter Maria Martinez to ask if he had gotten them right. A page from one of Chapman’s notebooks. “Everyone loved him,” she said. In a tribute to Chapman, archaeologist Neil Judd wrote, “Few local residents fully appreciate what Kenneth Chapman has done for Santa Fe. He has only been here 50 years, but in that brief period has been inextricably associated with everything really worthwhile”—including SAR. “When Julian and Maria Martinez were struggling to market their beautiful black pottery, then unknown, it was he who was able to help them with a special fund for the purpose of increasing the prices paid by dealers. . . . He has always been a helper and a giver, full of wisdom and kindness and humour,” wrote Meem. “So he was just doing these because he wanted to?” I asked Laura as I turned page after page of lovely, meticulous drawings. “He couldn’t not do it,” she replied. You can see some of Chapman’s drawings, along with the other treasures of the SAR campus, by taking one of our historic estate tours. Learn more and sign up for a tour today.